Because, the humble state of mind, we don’t think we are the controller, we don’t think we are the proprietor, we don’t think we are the doer. That is humility. Humility doesn’t just mean, “I am the most fallen.” We speak these things – I am the dust of your feet – but then, as soon as you do something I don’t like, we are ready to attack you. Yes?! It is not just words, it is the state of consciousness – to really understand, ‘I am totally dependent on Krishna, I am helpless, I am not the controller, I am not the proprietor, I am not the enjoyer, I am not the doer, I am just the servant.’ That famous story of a devotee who said to Prabhupad, “Prabhupad I am the most fallen.” Prabhupad said, “You are not the most anything. You are simply insignificant.” Hare Krishna! 12 Responses to "Real humility"
Humble state of mind not considering oneself proprietor, controller or doer is real humility. Thanks Radhanath Swami Maharaj. Hare krishna prabhuji. But how can one cultivate humility? Hare Krishna Shruti. By constantly remembering the greatness of God and being grateful for all God is doing for us, we can remain humble. 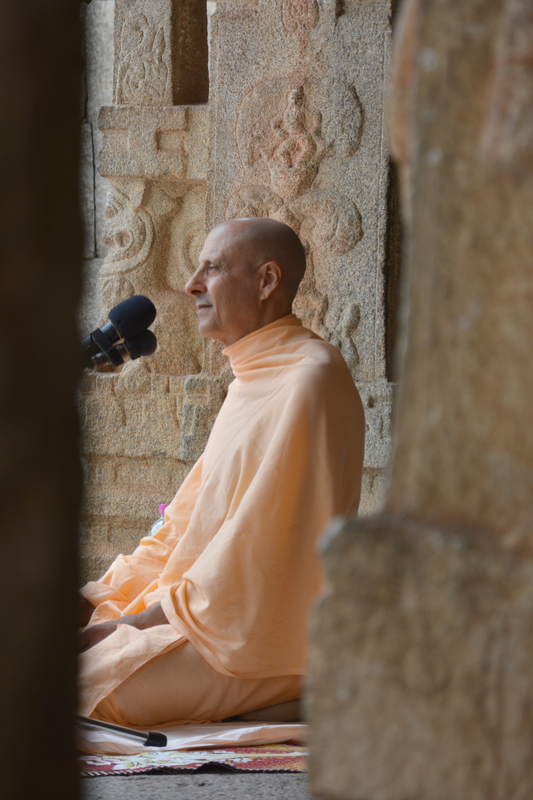 Thanks Radhanath Swami for helping us imbibe the most essential spiritual qualities. Very basic fact is explained by H H Radhanath Swami. If we have complete faith in the Lord and Guru, then we must have to accept this basic fact. If we can’t accept this fact then we need to understand that there is some thing wrong in our understanding the spirituality and purpose of following spiritual path. Meaning of humility explained in a superb way! True! We should show our humility not through empty words but through our actions which echoes our consciousness. Very true. Radhanath Swami really shows this aspect through his actions. Thanks Maharaj for giving the real meaning of humility.